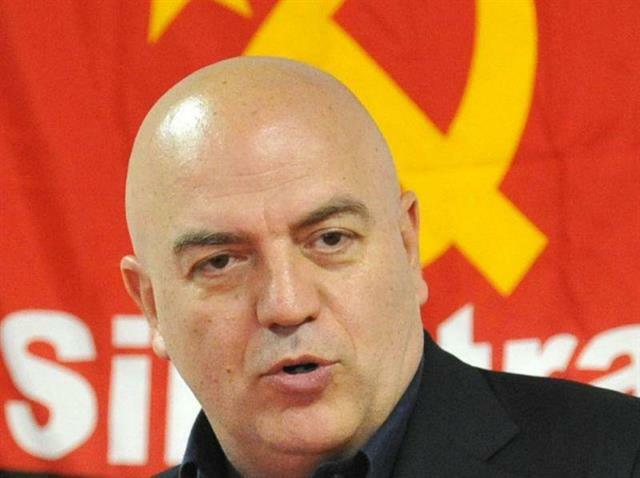 In Defense of Communism: Italian communist leader Marco Rizzo: "The only revolution is the communist one"
Italian communist leader Marco Rizzo: "The only revolution is the communist one"
"The governmental incident indicates who is in charge in Italy. The EU, IMF and NATO are able to choose ministers and not only. We, the communists, know that, as well as Di Maio and Salvini knew that. Forward to the battle against capitalist globalization. The only revolution is the communist one." The tweet of Secretary Marco Rizzo is accompanied by a photo of him ripping an EU pamphlet during a TV interview.